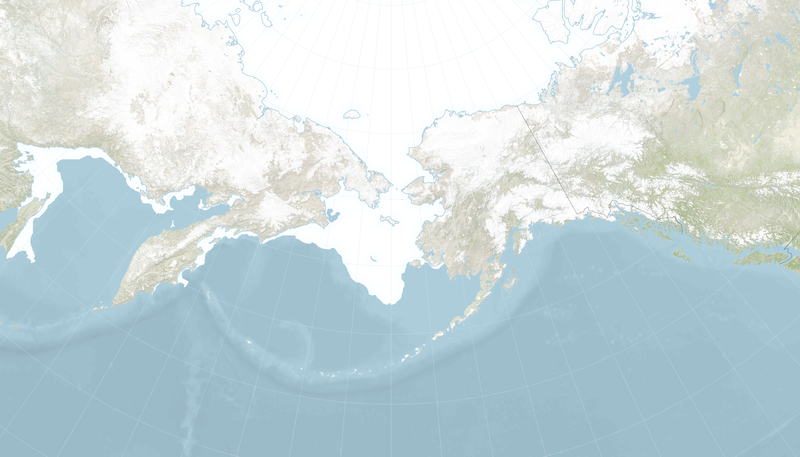 The dip in Bering Sea ice played a role in the near-record low maximum extent across the entire Arctic in 2018. 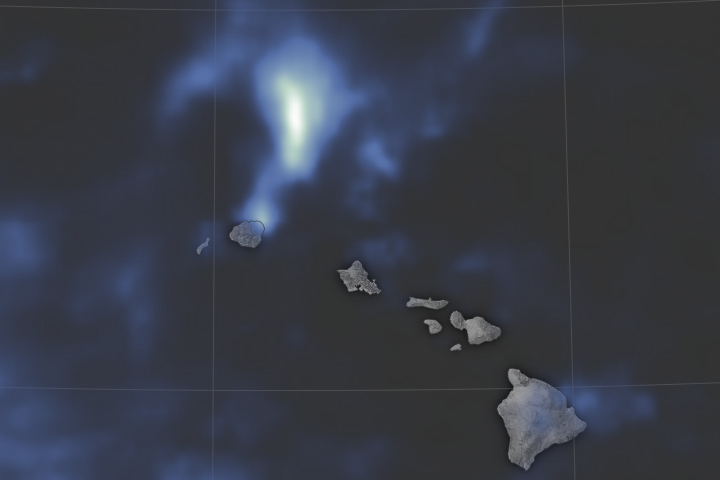 But even before reaching the annual maximum, unusual conditions were setting the stage throughout winter 2017-2018.The annual freeze-up started late, and some areas saw little to no shore-fast ice. 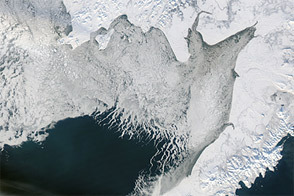 According to a summary of conditions from the International Arctic Research Center and NOAA, this winter brought less ice in the Bering Sea than any winter since the start of written records in 1850. By spring, the sea ice extent measured 61,704 square kilometers on April 29, 2018. 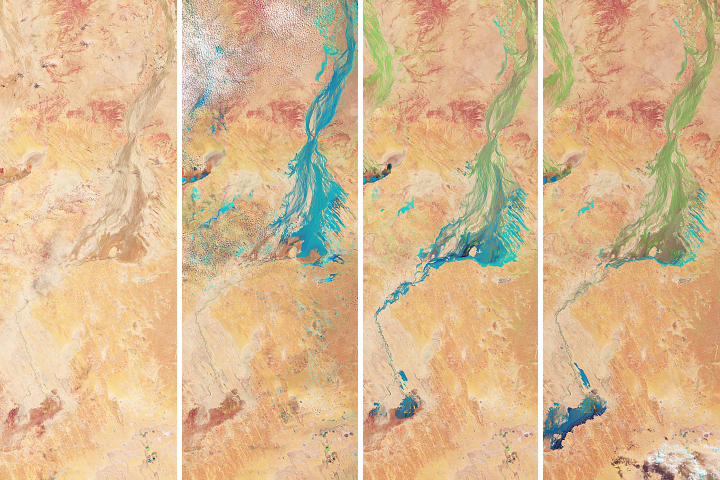 The series of maps above puts the ice that day in context with ice extents on same date since 2013. For example, the extent on April 29, 2013, was 679,606 square kilometers, closer to the 1981-2010 average (black line on the graph below the maps). 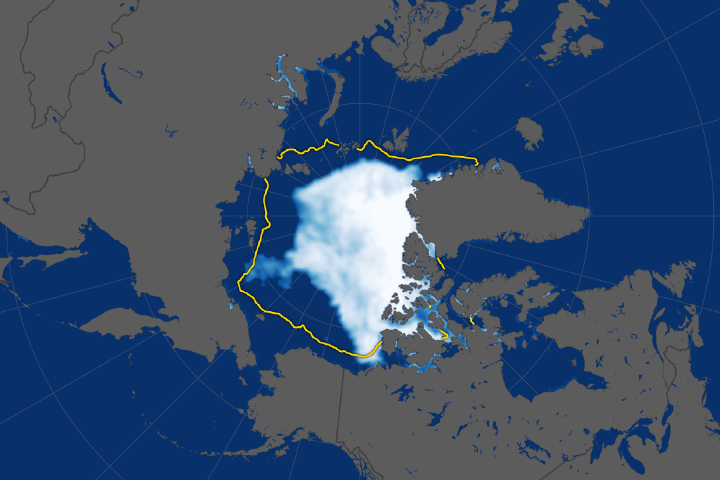 Sea ice at the end of April 2018 was about 10 percent of the normal. NASA Earth Observatory images by Joshua Stevens, using data from the National Snow and Ice Data Center. Story by Kathryn Hansen. 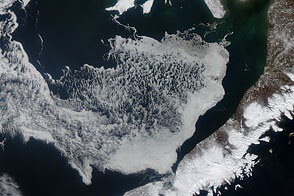 Warm temperatures and a stormy winter caused sea ice in the Bering Sea to plunge to record lows. 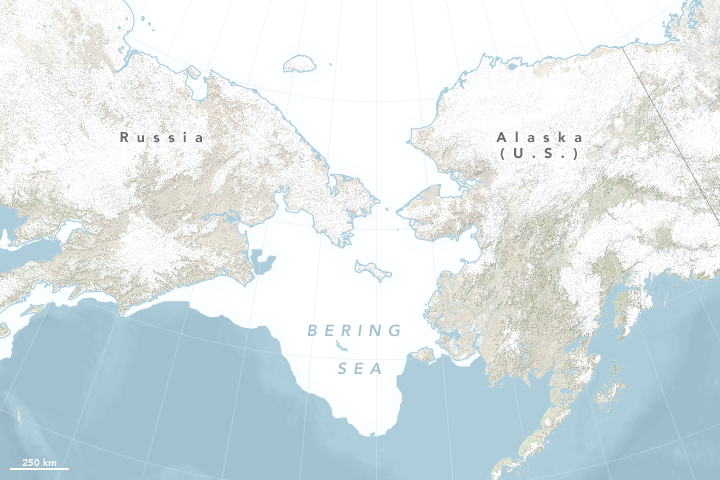 International Arctic Research Center, University of Alaska Fairbanks (2018, April 9) New summary available on Bering Strait winter 2018 sea ice conditions. Accessed May 2, 2018. 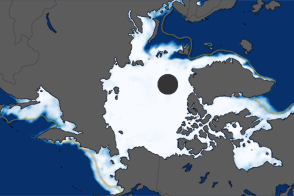 NASA Earth Observatory (2017, October 18) A Regional Look at Arctic Sea Ice. 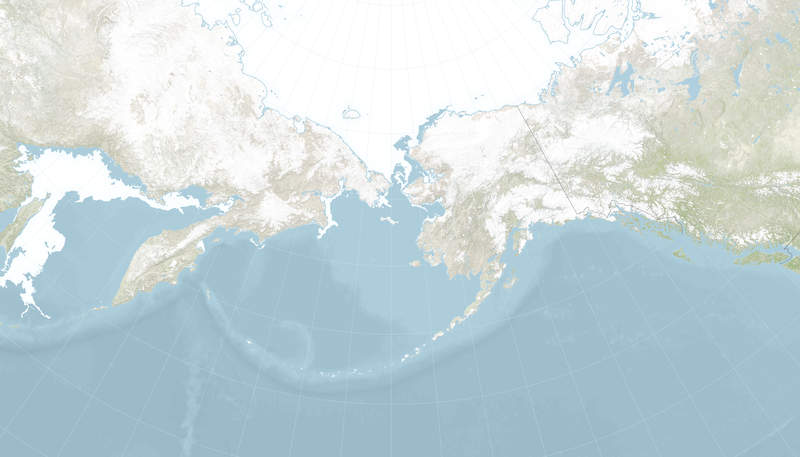 National Snow & Ice Data Center (2018) Sea Ice Spatial Comparison Tool. Accessed May 2, 2018. 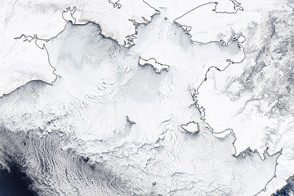 NOAA (2018, April 16) In the coastal communities near the Bering Strait, a winter unlike the rest. Accessed May 2, 2018. 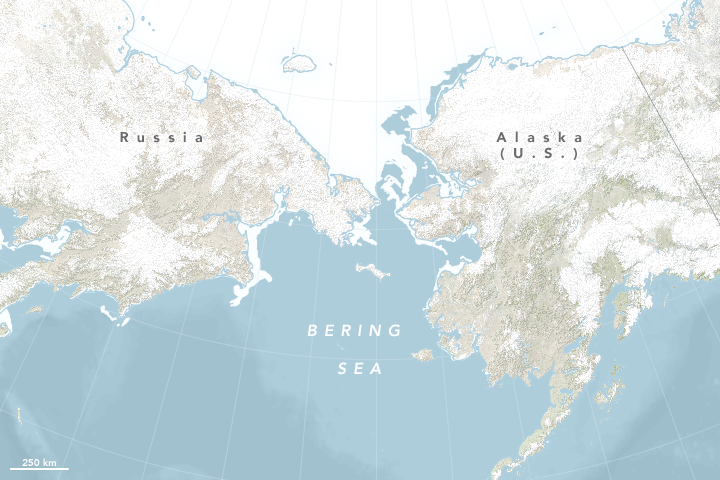 NOAA, Bering Climate How does ice cover vary in the Bering Sea from year to year? Accessed May 2, 2018. 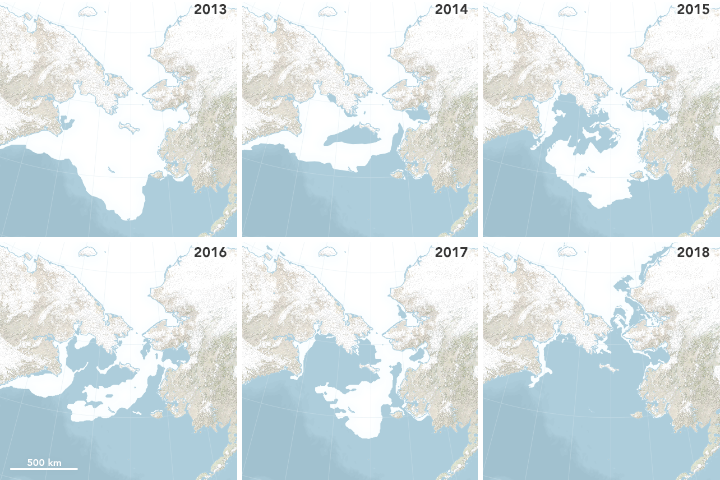 Scientific American (2018, May 2) Shock and Thaw—Alaskan Sea Ice Just Took a Steep, Unprecedented Dive. Accessed May 2, 2018.